Gio Navy Skirt is one of our special collection with Sandra Dewi. 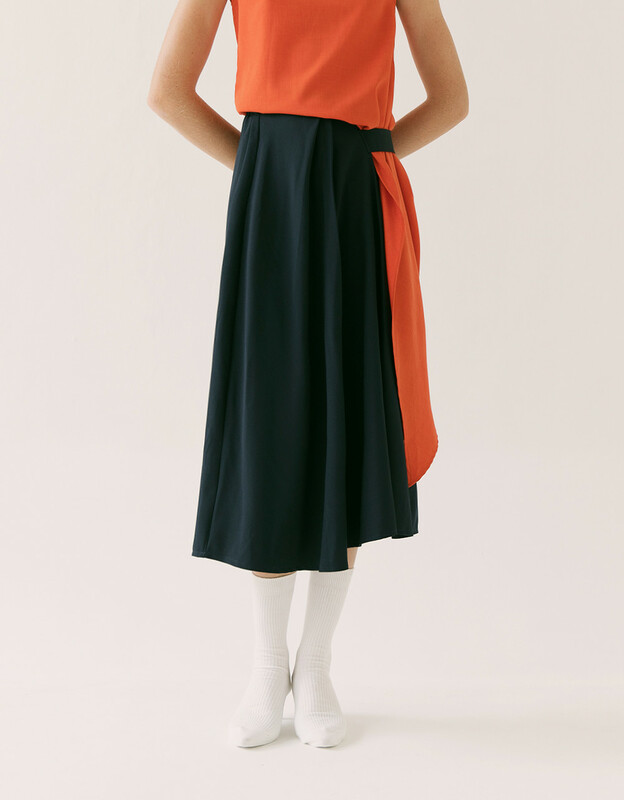 Cut with pleats skirt, and a side belt. You can wear it for a very stylish look by stealing the look pairing it with Carica Orange Top from our collection.